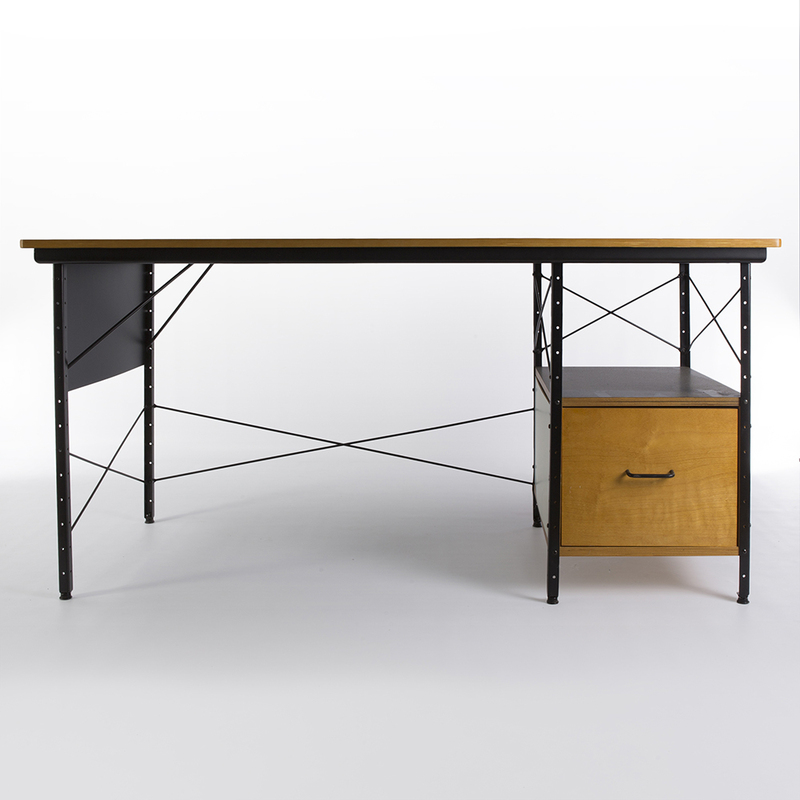 This rare Eames Desk Unit (EDU) by Herman Miller offers more than just arresting good looks: it is designed and built to meet your storage, surface and display needs. 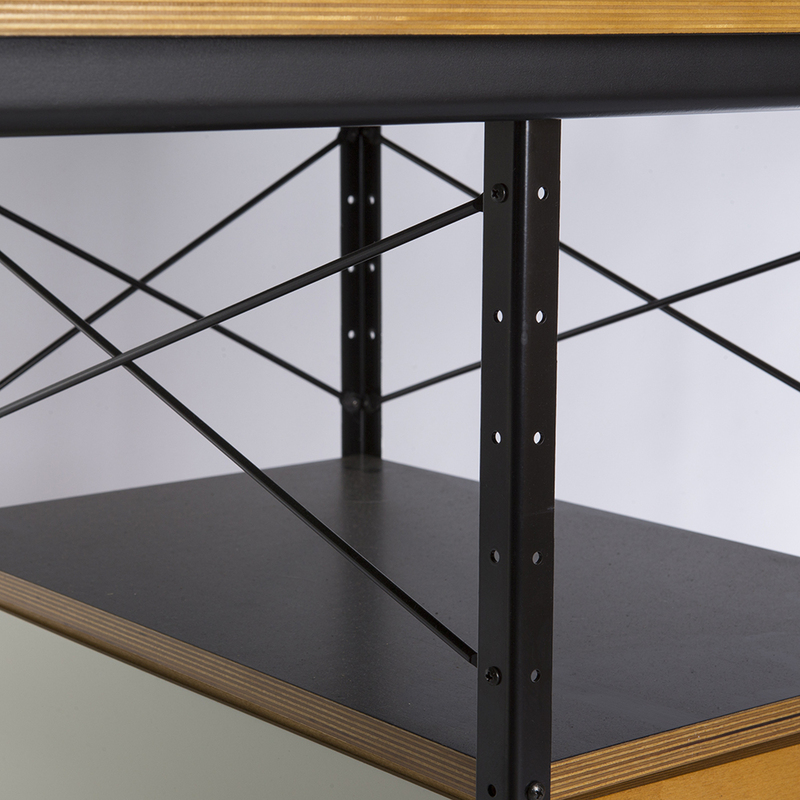 With its ability to not only facilitate storage it will also provide a rather unique design to add to your office. 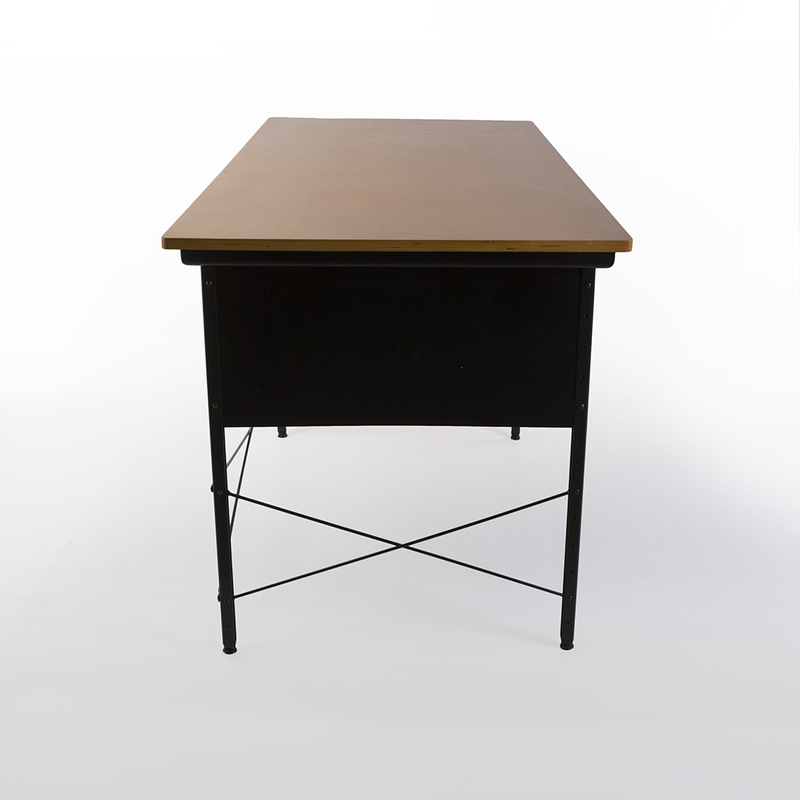 Charles and Ray Eames first designed this Desk Unit (EDU) back in 1950 before it was halted in 1955 whereby no more were produced again until 1996. Fortunately for us, they are still being produced! 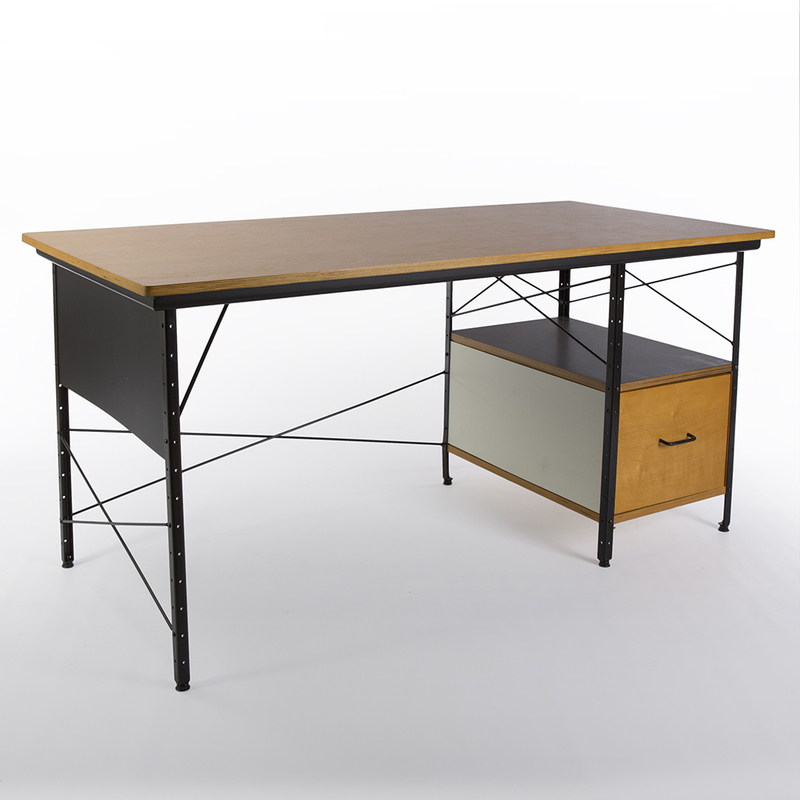 These desk units are offered in two different colour schemes, bright or neutral. 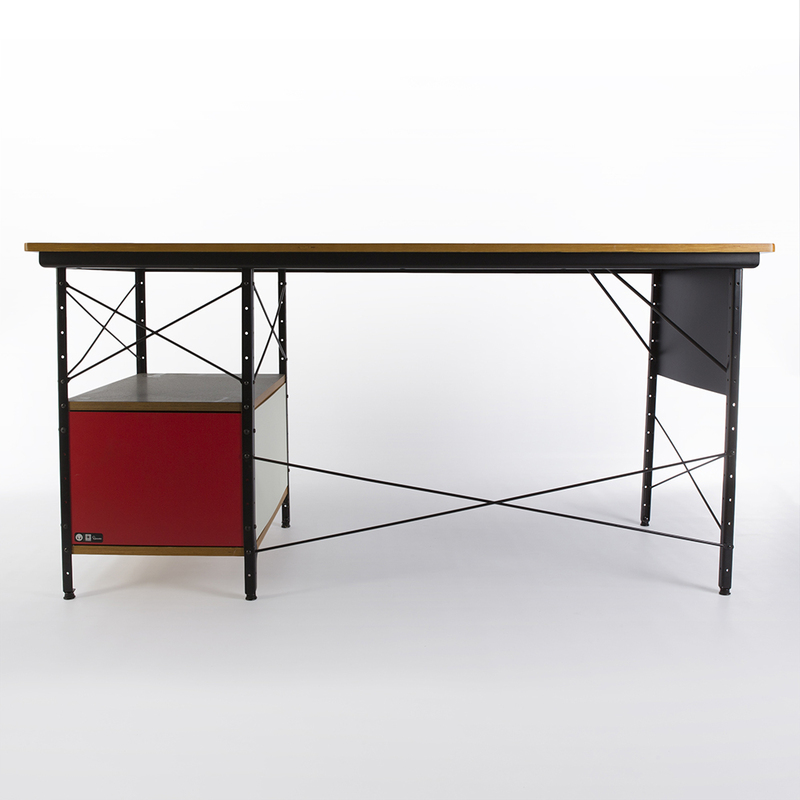 This excellent edition uses a red coloured finish on the back of the drawer. The legs are in good condition too with only minimal age-related wear. 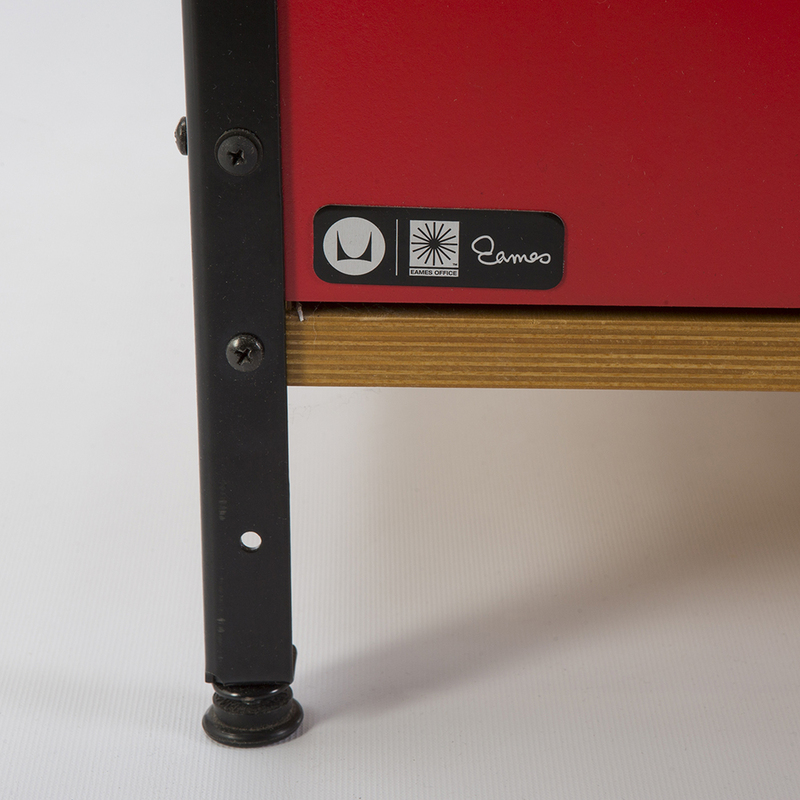 The oblong label on the back of the drawer indicates that the desk ages from the last ten years. 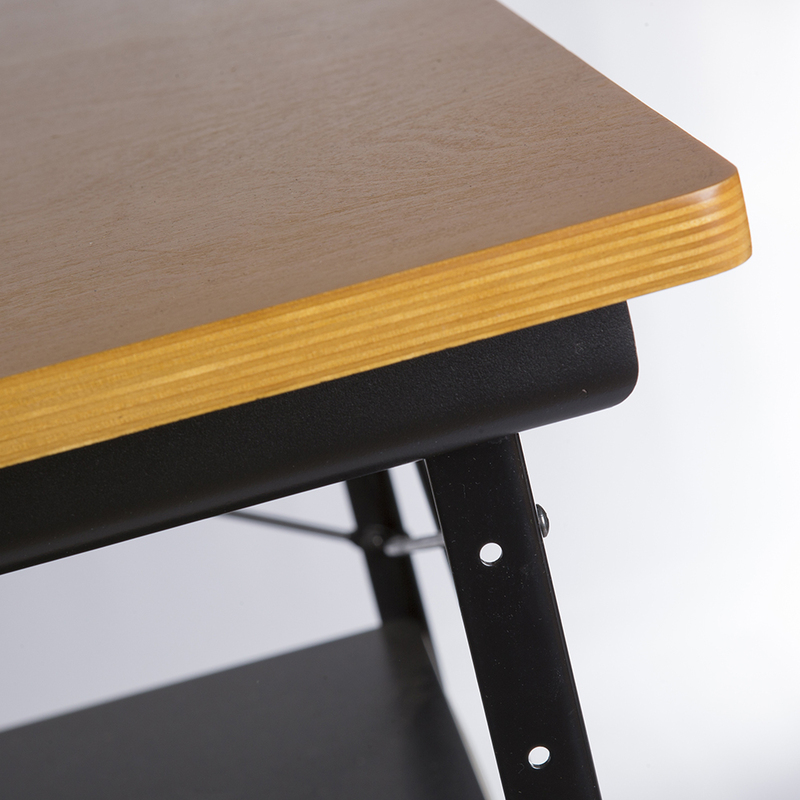 The desk measures: Please email for details.